Q: When you say ‘college running back’ I think of a stud, a thoroughbred. I’ll take it a step further and say ‘First String Nebraska Running Back,’ which I equate to the highest echelon. 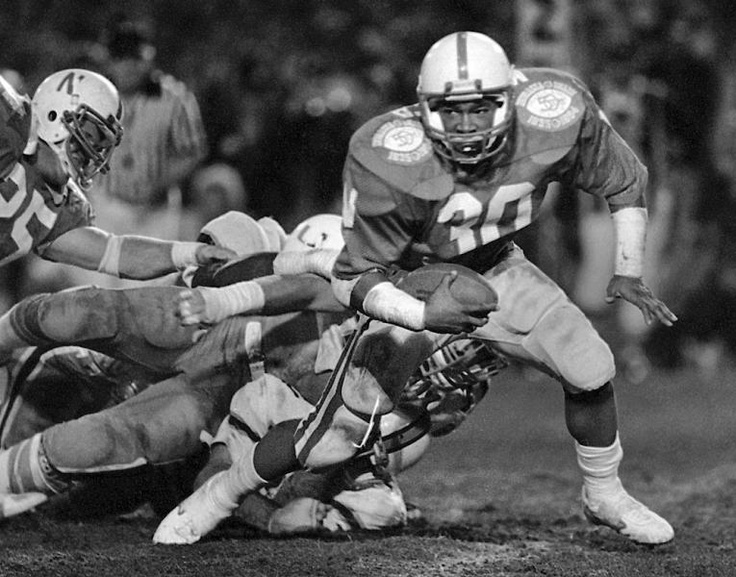 Surely you had 100,000 Nebraska kids in 1993 wishing they were Calvin Jones, so tell me: what does it take to be that man on that team in that position? CJ: I think, first of all, you have to be confident in your ability. You have to know what you’re doing when you’re out there. There were so many running backs. I think it was my freshman or sophomore year at Nebraska: there were actually five running backs who could have started on any other college team. And this was a tremendous help to me, because when you have those kind of athletes and that kind of depth you compete in practice every single day. And that was one of the great things about Nebraska, and that really kept us as a program on top for many years because of the depth we had. And even though we might have a starter who was a junior or senior, at any moment you could have a sophomore step in and not miss a beat. To be honest with you, some of our practices were more intense than games (laughs) because everybody wanted to start. You wanted to start for the Huskers. So to be able to start you had to compete, and to compete at a high level. That means you had to understand the offense or defense -depending on the position you played- and you couldn’t make mistakes. Because if you made a mistake you could be the number three running back and you could come in the next day and be the number five running back. CJ: Right. 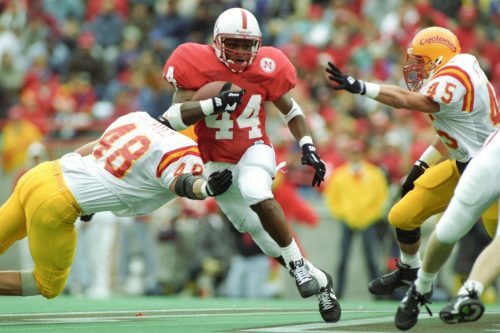 To be a running back at Nebraska back then… they remembered you scoring touchdowns, but they don’t remember you picking up the linebacker on the blitz or carrying out a play fake; the little things that really matter but never show up on the stat sheet. But it was just as important as running the ball for fifty or sixty yards for a touchdown. And that’s another thing Coach Solich was adamant about as a running back: you had to know your responsibility, you had to block, and you just had to know what you were doing when you were in there. Because the competition at the position was so great -everybody knew it- because you knew if you made a mistake and didn’t know where you were supposed to go on a play you might not get back in there. Q: Let me take you back to a time when you did make a mistake. How were you taught not to do that again by Coach Solich? Any method to his madness? CJ: Oh yeah, we used to do the balance drill. It would be opposite arm and opposite leg. You’d balance on the ground with one leg on the ground and the opposite one up in the air. Well, we used to do that every single day. And you know what? You could look over the whole season and it might be only one or two plays where you actually used it, but that’s the play you went forty or fifty yards on. And then ball technique. The ball technique he taught us? Nine times out of ten if one of us fumbled the ball he would know why automatically, because the ball wasn’t in the right place and I didn’t have it protected, I wasn’t carrying the ball correctly. And the incredible thing about it was that he was in the skybox! He was in the skybox and I was on the field -and hell, I’d fumble the ball and I’d be coming off the field- and the phone would start ringing: (laughing) ‘I know its Coach Solich calling.’ He was way up there, but he’d know exactly what happened on that particular play, be it ball technique or your footwork was wrong or you forgot to pick up the linebacker or your responsibility was wrong. He knew right away. Q: (laughs) What about his personality made Frank ‘Frank’. CJ: I tell you what, we used to always do push-ups and I’d always try to sprint him to the end of the field or something. And back then I think Coach was in his late thirties or early forties, and he still looked like he could still put ’em on. He could put ‘em on and suit up. He was just a competitive, fiery guy. He was like that when he was a player. A little older, but man, that fire was still inside him. Q: What do you think drove him? Motivated him? CJ: I think he loved what he did. I think he loved to coach running backs. 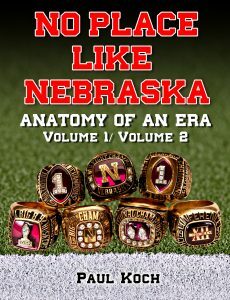 And I think that’s evident not only by the rushing titles, but I think when you start naming some guys who ran the ball for Nebraska, from Mike Rozier, Doug Dubose, Keith Jones, Lawrence Phillips, Damon Benning, myself, Leodis…the list just goes on and on and on. Some of the best in the country during those years, and it’s not like we came out of high school with that talent and that ability. 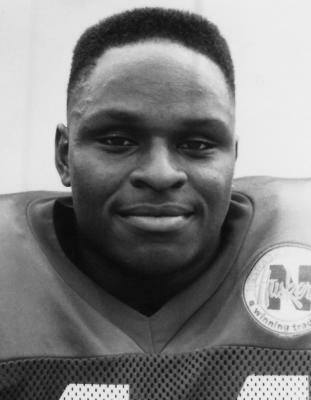 A lot of us were raw and he was the one who shaped and molded us and turned them into those All-Americans and All-Big Eight running backs for so many years. Q: Would he ever hearken back to a particular guy he once coached as an example? Draw on a name or experience to make a coaching point? CJ: Oh yeah, some of the drills and things that he would do -that we would do day in and day out- he had film on Doug (Dubose), Keith Jones, some of those prior running backs before. He would take the films and cut ’em up and show us why that drill was important. The forearm shiver, the lift where you split the guy in half? He showed us one play with Mike Rozier and they were playing Wyoming, and Mike used it on three different guys and scored a touchdown. There was always a reason behind the madness, why you were doing something. Sometimes you wanted to rebel and don’t want to practice and this drill is not what you think it should be, but he always had a way to show you on the field why he did that drill. And you know what? A lot of us, like I did, I never questioned him because his record spoke for itself. CJ: You mean my junior year. I left after my junior year. Q: Son of a gun, you’re right! I forgot about that. Nonetheless, can you tell me how the atmosphere, the culture around there? What took place during that time period? CJ: Well, the coaches’ attitudes and things had stayed the same, but I think the players really took a new mental approach in going to the bowl game, going to play Miami or Florida State in Florida. I think that mentality had really changed. Q: Where did that come from? What changed? CJ: I think it was the recruits and the guys who had seen… like myself, when we went down and got blown out in the Citrus Bowl by Georgia Tech, when we went down my freshman year and lost to Miami. CJ: Right. And you know what, we really counted on each other. I knew I could count on Zach Wiegert, I could count on Corey Dixon or Abdul Muhammed at receiver. We had built that trust because we had been together all summer and it was something we’d talked about. We had to do all the little things. That was way before the season started. Hell, that was all the way back in winter conditioning, like January. CJ: That’s right. And we knew we were close, but we needed to work hard from January to August, because once the season was here we couldn’t turn it on. You needed to turn it on, like you said, when nobody’s watching. Once the season was here you couldn’t step on the gas pedal any further. We needed to be stepping on it from January to August. CJ: And also, when you look at that team, the ’93 team -and I’ll go back even more, because my recruiting class was the first class to win Coach Osborne his first national championship- when you look at recruiting we had Zach Wiegert, Brenden Stai, myself, Ed Stewart, Terry Connealy, we had some guys in that recruiting class and we didn’t care. We were going to do what it took. Do what it took. And there came some attitude with that. Some attitude. And then you’ve got not only the attitude: we had Corey Dixon. We started getting some speed. It was a combination of things, but I think what really helped us was January through August. That summer not many guys went home. Q: It was not only the hard work and dedication when no one was watching, but also the bonds of trust and friendship developed from not separating over those summer months? CJ: Oh yeah. You can have all the talent in the world, but if you can’t play together it doesn’t matter anyway. Those Colorado teams are a prime example. Q: So talent only gets you so far. It’s the extra work and aspiring to greatness that truly gets a team over the top? CJ: Yeah. And the coaches played a huge part. I’ll say this, I’ve never seen coaches who could adjust to situations like they could. We’d go three plays and out and Coach Solich would be talking to you and talking to Coach Osborne and, “What’s going on? What are we seeing in there?” And I tell you what, the whole next series had a whole different blocking scheme and we’re running different plays. Q: It sounds as if there was a constant, nonstop feedback loop between players and coaches, that they valued and relied upon what you guys were experiencing out there. It was truly a team effort? CJ: Right. So the next series the blocking scheme would be changed. Now, the plays wouldn’t change, but the blocking scheme and the mentality of the players had changed. I will say this: the coaches always put us in position to be successful. So if we went three plays and out it was, “What’s going on over at right guard? What’s going on over at left tackle?” and the next series would be completely different. I don’t even think in today’s game you can even find a coach who can do that. Q: So the staff’s summation of all the years being together and working this stuff out, the synergy they possessed, put them light years ahead of the opponent in the grand chess match of football? CJ: Oh yeah, I think that was a big factor, that continuity of the coaching staff. They knew football. Q: What was your motivation as a Nebraska football player? CJ: To be honest, my only goal when I first came there? I just wanted to run out in front of 76,000 people. (laughing) That’s all I wanted to do. I just wanted to suit up and run out there into the stadium in front of the crowd. But for me, what really helped motivated me was, once again, the guys at the position and having to compete day in and day out. There wasn’t no law where you could take a breather: every practice you had to compete. And I think that’s what really brought the best out of me: the competition. Because as an athlete there’s only two ways you can go when it comes to competition: one, either you’re gonna step up to the plate or, number two, you’re just going to fall by the wayside. There’s no middle ground when it comes to collegiate athletics: either you’re gonna step up and compete or you’re not. Q: Or you’ll be that fifth-year senior who’s really talented but fourth string and just playing out the year on scout team? CJ: Right. But I think my motivation was to always represent Omaha, my family and Nebraska in the right way. Because when I was in high school it might not have been as much depth, but it was the same way. My junior year we had two running backs who went to Division I. 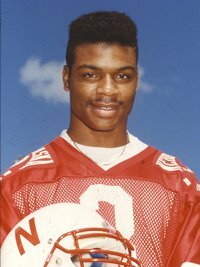 My sophomore year the running back went to UNLV. My freshman year it was Leodis Flowers. The competition had always made me better, so I’ve never been afraid of competition. Q: Calvin, you went from I-back High to I-back U! Q: I remember as a kid growing up in small-town Nebraska and just licking my chops thinking, “Man, if I lived in a big city like Omaha I’d be a running back for Central, man. 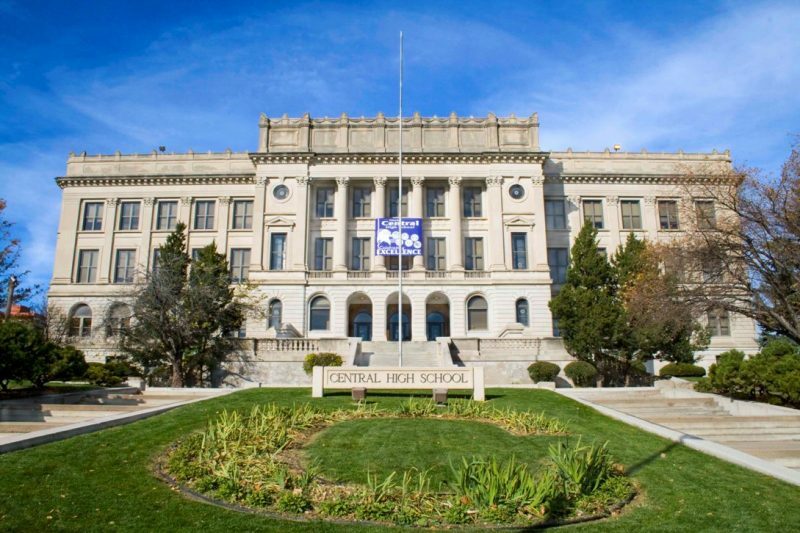 They’ve got the studs!” (laughs) To me, that was the ultimate, the pinnacle of Nebraska high school football, being a running back at Omaha Central. Q: And when you say ‘represent Omaha’, what did that mean to you? 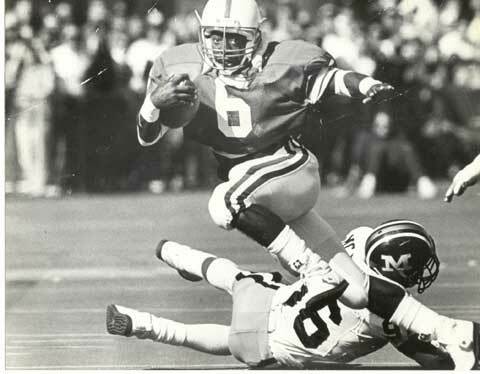 CJ: Well, because when I was growing up watching Nebraska football you had Keith Jones, Lee Jones (just to name a few of them), but those guys always represented Omaha well and came to Lincoln and had some success. They kept themselves out of trouble and always seemed to be doing the right thing. It was just something I wanted to be a part of and kind of hold up that tradition.